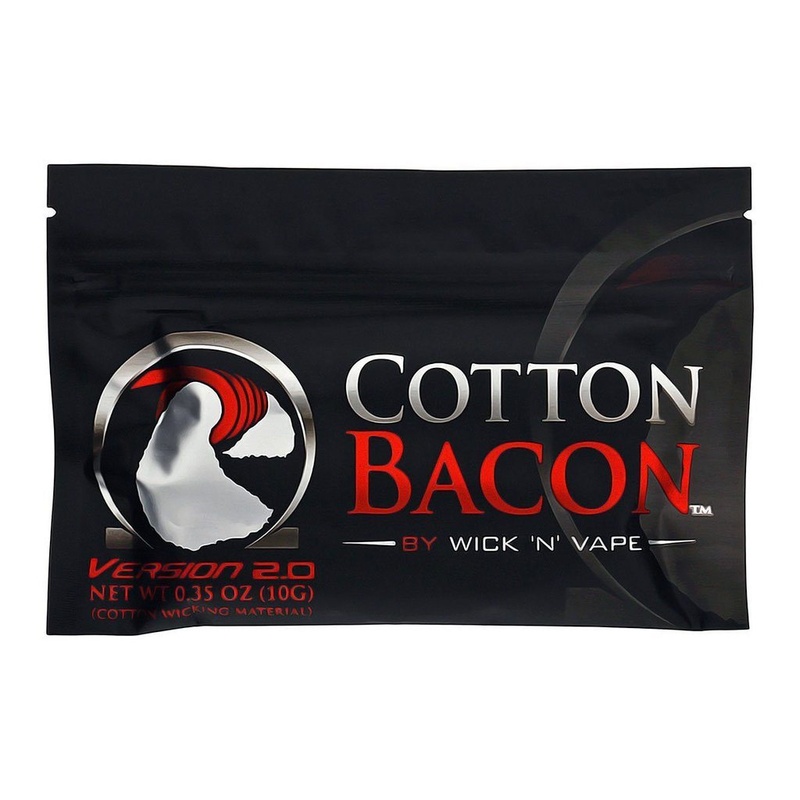 This new version maintains the form users have grown to love with its 4″ length, heavy body, easy to use bacon strip that allows for easy tearing to fit your size coil. Our U.S. grown dual fibber stacks up to the driest, hi-heat, hi-power applications. No more Break-in flavour. Our proprietary purifying process along with clean room packing practices give the user the purest taste from the start. keeping cost down and convenience up we use a food grade P.E.T, re-sealable travel size package. Our Goal was to create 100% cotton wick that is safe, pure and durable. 4 inch length, heavy body, easy to use bacon strip. U.S. Grown dual fibber for optimal wicking and heat resistance. No more break-in. 100% TASTELESS wick. Large fibbers for lo-ohm builds, minimal dry hits. User friendly, resalable travel size package.